Bragi has addressed all the issues we found with the first generation Bragi Dash, and fixed them. Audio is improved, as is reliability. With its treasure-chest of advanced smart features, these are among the most futurustic and high-tech earphones we've tested. Looking at the earphone market, we're now at the point where a large number of companies are building completely wire-free earphones. Even the low-cost Chinese manufacturers are shipping them via Amazon. But when you look back, it was Bragi that initially pushed into the market, creating a path for others, before AirPods came along to give it more momentum. While the first Bragi Dash wasn't a perfect product, it was very ambitious. It wasn't just a wire-free pair of earphones, it was a new breed of wearable that you wore in your ears. The earphones were equipped with motion tracking sensors, heart-rate monitor, touch-sensitive controls and upgradeable firmware. Sadly, it didn't get the basics right. With the Dash Pro, Bragi is promising better audio, battery and wireless connection performance in a pair of earphones that pack in even more smarts. Thanks to a 2018 firmware update, the earphones are now even more versatile than ever. Read our updated "Audio" section to see more on that. The shape and finish of the first-gen Dash was arguably the earphones' best feature. 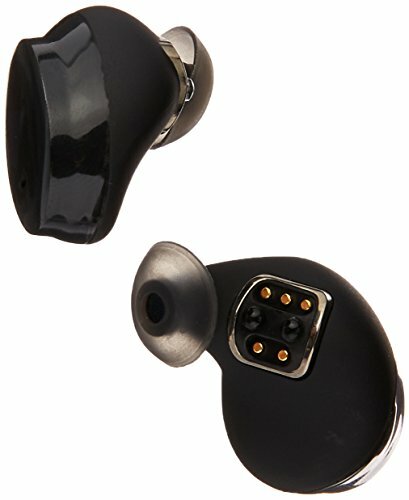 With the Dash Pro, pretty much everything has remained, unless you opt for the Starkey-designed model which cost considerably more and require you to have them custom-moulded for your ear canals. The outer surface is a black teardrop design with a translucent line following the circumference around the inside. This strip lets light through from the pulsating LED beneath, which changes between green, blue and red depending on the connection status or remaining battery. Like the original, the underside is coated in a slightly grippy, rubber-like finish and features the five pin connection port for charging and heart-rate sensors. The eartips sit at the end of some extended arms, designed to reach into the entrance of your ear canal without ever going too far. With the correct ear tip, it's a comfortable fit. And a snug fit. Adding to their versatility, there are FitSleeves in four sizes to fit the Dash Pro into when you're heading out for a run, or working out. These are essentially thin silicone sleeves of different sizes, designed to keep the earphones in your ears when you're moving more. With the FitSleeve attached, the Dash Pro are a little less comfortable to wear, due to the even more snug fit. That's not to say they we experienced any real discomfort. When you only need them in for 30-60 minutes during exercise it's not too bad. It's when you sit down just to listen that you'll notice them, in which case you can just take off the FitSleeve and replace with one of the more basic ear tips. There are three different sizes of FitTips, which are basically minimal memory foam ear tips. While the FitSleeves are designed primarily for their ability to keep the Dash Pro from falling out, the FitTips are designed to help give you the best audio experience possible. The only issue we found with the design is with the touch-sensitive portion of the earbud. Like the original Dash, both earbuds of the Pro have a capacitive input on the outside, near the bottom. While it works fairly well for simple tapping controls, we found it was often hard to find by touch, since it's no different in texture to the rest of the surface. It's also really easy to tap it accidentally, when you're brushing hair behind your ear, for instance. Some of the more complicated gestures, like swiping, often don't work first time either. One element of design that has changed is the metal sleeve that fits around the charging cradle/carry case. Unlike the previous all-black finish, the Pro features a grey metal case with a vivid blue lining on the inside. This lining ensures that the cradle slides in and out of the sleeve smoothly, without scratching or damaging the cradle. Despite needing two connections to setup the earphones - one for audio, the other for fitness/sensor data - the Bragi Dash Pro is still very easy to set up. Download the Bragi app, place both of the earphones in your ears, long-press the touch-sensitive area on the outside of the right ear bud to set to pairing mode. Once they're ready, you connect in the usual Bluetooth menu before returning to the app and completing the rest of the setup process. Once paired in the app and for audio, you can start playing around with settings. One option is to calibrate them for motion detection and various gestures. This is so that you can make use of the head gesture controls, which allow you to accept or decline calls by nodding or shaking your head, or navigate through the Dash's audio menu. Bragi has improved audio quality on the new Dash Pro. With the right tips fitted for that snug fit, audio is full and rich. There's plenty of bass for those who like a healthy rumble of low-end, without sacrificing the highs and mids. They're not audiophile grade earphones, and the smartphone app doesn't let you tweak the EQ, but the overall balance is good. While there's no EQ as such, the most recent software/firmware update lets you generate an audio profile individually suited to your own ears and hearing. Or rather, better suited to every individual. After going through the slow, frustrating update process that requires a PC/Mac desktop installer (in 2018), you open up the Bragi mobile app and it'll lead you through the process. Unlike the Nuraphones over-ears, the Dash Pro can't measure your hearing response themselves, but instead plays a series of beeps in your left and right ears and asks you to hold an on-screen button until you can no longer hear it while gradually getting quieter. It's a fairly lengthy process, taking a few minutes to complete. Once done, you get an audio profile created for you and the ability to adjust the intensity of EQ personalisation. Having pushed ours all the way to the maximum, we found the sound much more dynamic and punchy than it was generally, showing that - seemingly - the audio personalisation really works. We enjoyed the sound much more with the personalisation switched on and found we could hear details more clearly, and felt there was a better dynamic range. One element of the audio performance that's especially good is the passive noise-cancellation. When listening to music, with well-fitting tips or sleeves, the earphones do a great job of killing any ambient noise - almost to the point where you can barely hear a noisy washing machine in the next room going through it's spin cycle. We've had multiple times where friends and family literally had to stand in front of us and wave to get our attention, because shouting wasn't working. Then, there's the audio transparency feature: you can set the Dash Pro to let through ambient noise whenever you pause your music by tapping the right earbud. Once paused and audio transparency is on, you can hear everything around you, to the point where you can have normal conversations with people, without having to remove the earphones. If you're out running on roads, you can also swipe on the left earbud to switch on audio transparency to let through the ambient sounds without pausing the music you're listening to. This worked really well too, letting us hear cars from hundreds of meters down the road without stopping us from enjoying our running playlist. Like its predecessor, the Dash Pro has an impressive number of features you don't get in your run-of-the-mill earphones. All of which are controlled and enabled through the iPhone or Android app. One of the features it has now is the ability to automatically start tracking when you start a run or bike ride. It uses its motion and heart-rate sensors to detect when you've started. What's more, you don't even need to have your phone with you. The Dash Pro can save the data from your workout and sync it with the app on your smartphone afterwards. The features aren't just limited to running and cycling though. Bragi's latest earphones can track swimming and automatically track lengths. In all, it can track steps, cadence, heart rate, speed, duration, breaths, swimming lengths, distance and calories. When tracking during a run an audio prompt gives you updates at five minute intervals telling you how many steps you've run, how long you've run for and your average heart rate. Then, when you're finished, it knows and stops tracking. It takes no effort whatsoever from you, as long as the earphones are in your ears. While this feature worked reliably - in that it consistently started tracking automatically during runs - it wasn't accurate. It often didn't start until 10-30 seconds after we'd begun our run, for example. What's more, its heart rate and distance data was quite different to the data captured by a wrist-worn GPS smartwatch. In this case, that was the Garmin Fenix 5. With the Dash Pro not having GPS, it has to rely only on motion sensor data to estimate distance. As an example: on a 4.5k run, the Dash Pro measured 5.8k and heart-rate data was around 12 beats-per-minute below the average measured by the Garmin. For runners or cyclists who want something that accurately tracks their sessions, clearly something with scope for error isn't good enough, meaning it's very hard to recommend the Dash Pro as a serious fitness tracking device. As a general gauge, however, it's handy to not have to worry about wearing yet another device in addition. One interesting new feature is the iTranslate plugin, which integrates the Dash Pro with the popular translation app. With the app open, a tap on the left ear followed by a spoken phrase leads the app to show the translation on screen and say it aloud through your phone's loudspeaker. There's even a Dash to Dash feature which means, on the off-chance you find someone else with a pair of Bragi Dash pro earphones, you can speak directly to them, and their Dash plays the translation in their language. While it's not a perfect fitness tracker, the Dash Pro is still a great pair of sports earphones thanks to the snug fit, wire-free listen and improved sound compared to the original Dash. The Bluetooth connection was generally solid during our testing, too, providing you don't try and do too much. We noticed that if the Bragi app was open on the phone and trying to communicate with the Dash Pro during the a run, walk or other activity, the audio connection would cut out regularly. However, once the app was closed, and the Dash Pro was tracking activities independently and just playing music, there wasn't anything close that degree of connectivity inconsistency. On 30-40 minute runs, the audio cut out maybe once or twice during our use, and only for a brief fraction of a second, which is something we've experienced using many other earphones, not just wire-free ones. In daily use, when not exercising, the Bluetooth connection didn't cut out once for us, proving consistent and lag-free. Battery life is a slightly different matter, however. We managed almost two hours of playing music through Spotify on our smartphone before getting a "battery low" audio prompt, and then having to stick the earphones back in their battery-powered charging cradle. Bragi claims you can get up to five yours between charges, but that's only if you use music stored on the actual earphones' 4GB of internal storage. Streaming audio through Bluetooth and tracking fitness depletes the battery much faster. Although it comes as some comfort that the battery cradle has enough capacity to refill the battery up to five times, without needing to be plugged into the mains. In our experience, we were able to use the earphones for a couple of hours, and put them back in the cradle four or five times before the cradle itself was out of juice. In the Dash Pro, Bragi has made a great pair of sports earphones. The company has fixed all the issues we had with the first-generation Dash. For round two the audio is improved, as is reliability - both points that make a significant impact in use. Plus, with its treasure-chest of advanced smart features, the Dash Pro is among the most futuristic and high-tech earphones we've ever tested. We just wish the smart fitness tracking features were more accurate. As an all-round package, however, the Dash Pro are among the best wire-free earphones available right now. The added sensors and features certainly help them stand apart from the growing crowd of AirPods wannabes. While the design isn't quite as sleek as the Dash Pro, the Jabra Elite Sport has a rock solid Bluetooth connection and fantastic build quality as well as fitness tracking elements. What's more, it's considerably cheaper than the Dash Pro. If you don't want the smarts of the Dash Pro, and just need a pair of wire-free earphones that work, The Headphone is a cheaper alternative to the Dash Pro. Build quality and design are a little more basic, but they work pretty well. If you're an iPhone user and just need a convenient, reliable pair of wire-free earphones, there aren't many that top the AirPods. They're simple to use and, while they don't sound amazing, they're good enough. The W1 chip makes them ridiculously easy to set up too.